Turkmengeologia State Corporation of Turkmenistan has discovered iron ore deposits at the "Gyzylgaya-V" area of the Chagyl deposit in the Gyzylgaya settlement of the Turkmenbashi district in the country's Balkan region, Trend reports with reference to the Neutral Turkmenistan newspaper. The presence of the corresponding components in the iron ore necessary for the production of cement has been confirmed. During the geological exploration work, 70-75 million tons of iron ore reserves, containing 20 percent of iron, were discovered. In this regard, it is planned to conduct technological tests of the samples obtained at the Chagyl field, the report said. 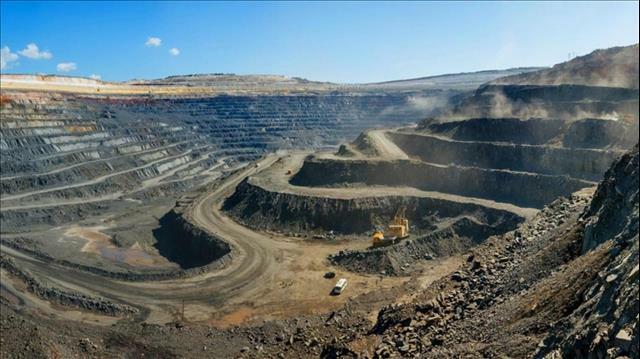 In July 2018, it was reported that the possibilities of using natural resources of the Tuarkyr mining area in the west of the country were studied. "The use of local raw materials - iron ore - in production of high-strength brands of cement will allow saving about $10 million annually," the report said. It was also noted that if a metallurgical plant with a capacity of one million tons of iron per year is built on the Gyzylgaya area, the reserves of easily enriched ore of the deposit will last for a century. The priority direction of the construction materials industry is the production of cement in Turkmenistan. The country's factories produce Portland cement, which is used in the construction of multi-storey buildings and other facilities in the seismic zone. In addition, the production of oil-well packing cement for the oil and gas industry, as well as sulphate resistant cement used in the laying of foundations, construction of bridge piers and other hydro-technical structures has been arranged.